Today, with everyone connected socially online, it is imperative that you promote your business through social advertising. Social advertising is any form of advertising where you pay the social media company to display your content. It could be a display ad or a promoted tweet that will showcase your profile, products, or services. This course will teach you how to reach your target audience through strong social advertising. An online advertisement can promote a business and reach a wide audience effectively while spending far less than with traditional advertising approaches. This course will first introduce you to the process of social advertising and its objectives. 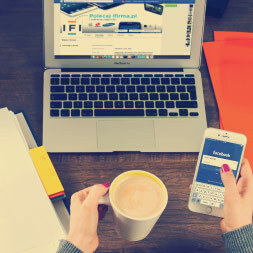 You will learn about the different rules to follow for a successful social advertising campaign as well as take a look at the different social advertising platforms and the types of advertising they offer. Next, you will learn about the key concepts of online display advertising and how to use online display advertising as part of your business's advertising campaign. You will learn about a number of different approaches including their pros and cons before deciding on the best one. Finally, you will be introduced to search engine optimization (SEO) and learn about its best practices, pitfalls, and barriers. Here, you will learn how to implement SEO and test its effectiveness in promoting your website. Social advertising can help you target people in very specific demographics who might not even stumble across your profile or website without it. This course will be of great interest to business professionals, entrepreneurs, and anyone who wants to start advertising their business online. It will also be valuable to those who are working in the SEO and advertising industry. So, start the course now and learn how to increase your visibility on social media today! Having completed this course you will be able to: - Describe what is meant by social advertising. - Discuss the rules of social advertising. - Discuss different social advertising platforms and what they offer. - Discuss the key concepts of online display advertising. - Describe different approaches to online display advertising. - Discuss considerations that need to be made before conducting online display advertising. - Describe the process of search engine optimization. - Discuss best practices, pitfalls and barriers for search engine optimization. - Describe ways in which to implement search engine optimization. - and discuss ways in which to test the effectiveness of search engine optimization.